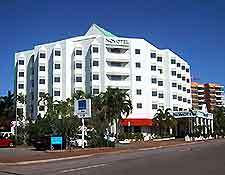 The accommodation in Darwin comes in various different guises, with hotels forming the bulk of available lodging and coming with both air conditioning and swimming pools as standard. Backpacker youth hostels target budget travellers arriving in Darwin and are known to be concentrated around Mitchell Street and the transit centre. Do bear in mind that the seasonal trends greatly affect the prices, with accommodation rates dropping by up to 50 percent during the quieter wet season (between November and March), and rising accordingly for the rest of the year. Hotels are also in particular demand during local events in July, which is when the Darwin Cup Carnival is staged, together with the Fringe Festival, and followed by the famous Beer Can Regatta in August. 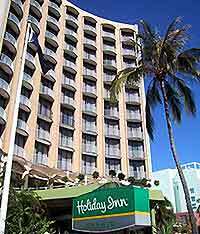 Accommodation in Darwin is fairly affordable and some of the areas with the highest concentrations of hotels include Buffalo Court, Daly Street, East Point Road, Packard Place and Woods Street. 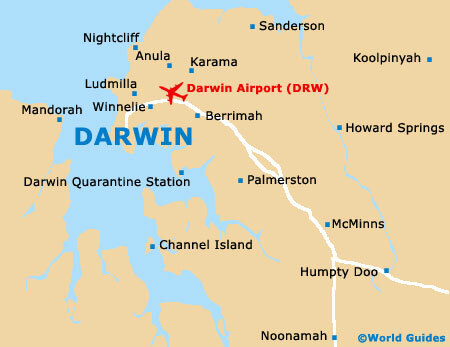 Also of note is Cavenagh Street, where the Travelodge Mirambeena Resort resides, while on the outskirts of the city, hotels along Henry Wrigley Drive are well-placed for accessing Darwin International Airport. Mitchell Street and the coastal Esplanade, overlooking Darwin Bay, are particularly popular places to stay, with many luxury accommodation opportunities being based here. Located on Mitchell Street is the surprisingly affordable Crowne Plaza Hotel, which has recently enjoyed a multi-million facelift. On the Esplanade you will find the likes of Holiday Inn, Mantra, Palms City and Novotel hotels, all of which boast breathtaking views of the harbourfront.